Julia Stewart, the sharp-talking CEO of IHOP, gives author Nora Ephron a run for her money as the two candidly discuss careers, family and, of course, pancakes. As chairman and chief executive of IHOP, Julia Stewart is a major force in the restaurant world. With a recent best-seller "I Feel bad About my Neck" and hit comedies "Sleepless in Seattle" and "You've Got Mail" under her belt, Nora Ephron is a Hollywood power broker. What could these women in such different fields possibly have in common? In a word: pancakes. 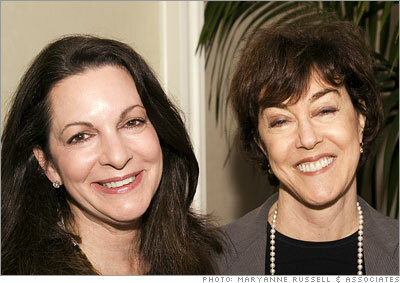 Ephron and Stewart met last year at The Fortune Most Powerful Women Summit, where they hit it off. They had a lot to talk about - enough to continue the conversation over breakfast in front of an audience at this year's summit. The result was a frank and very funny conversation about the issues facing women in the workplace. To listen to highlights from that talk, click on the link at the bottom of each page.